Dr. Mann is one of San Diego's top vascular trained surgeons. The Secret Vein Clinic in San Diego is a leading specialty center for the medical, surgical and cosmetic treatment of problematic veins – from varicose vein treatment or spider veins to chronic venous ulcers. 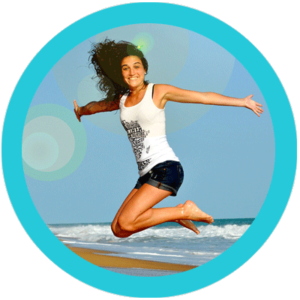 Our treatments include Endovenous Laser treatment (EVLT), VNUS treatment or R.F. 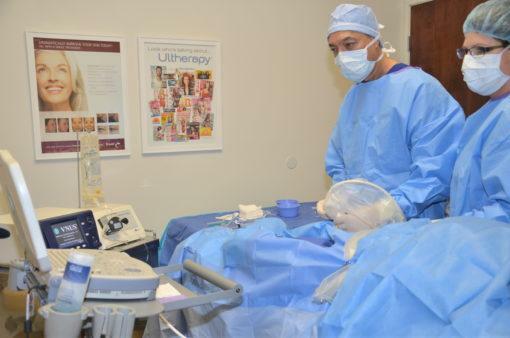 Endovenous Ablation, Sclerotherapy, Phlebectomy, Veinwave treatment, VariLite laser, laser vein treatment and more! 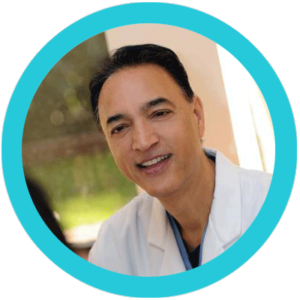 At our vein clinic in San Diego, we are proudly led by leading vascular surgeon Dr. Peter Mann, M.D., who has two decades of clinical and surgical experience, and is one of a select number of fellowship trained vascular surgeons devoted exclusively to the treatment of venous disorders. As an author and international speaker, Dr. Mann teaches other surgeons the latest techniques of endovascular vein surgery and the treatment of Phlebology. He is also a leading expert in the treatment of Endovenous Ablation Therapy, which is a safe, minimally invasive procedure to eliminate varicose veins. Surgically trained at Yale and additionally Board certified in Emergency Medicine, Dr. Mann always provides an extra layer of safety to every procedure he performs at our vein clinic in San Diego. Contact us if you have throbbing leg pain, leg heaviness and fatigue, itching, burning, restlessness, night cramps, edema, skin changes (stasis dermatitis), paresthesias, restless leg syndrome or skin ulcers. At our vein clinic in San Diego, we provide complimentary consultations and ultrasound screenings, and can schedule a treatment that is right for you. Upon your final evaluation you will know the underlying cause of your venous condition and how we can correct it. 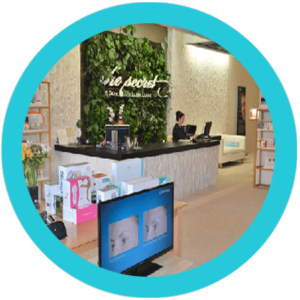 The Secret Vein Clinic also provides other cosmetic and non­-cosmetic treatments including skin tightening and skin resurfacing services, such Ultherapy, CO2 Fraxel, IPL skin rejuvenation, photodynamic therapy, laser hair removal and more. If you are searching for one of the top vascular surgeons in California to treat your varicose veins, spider veins, or other vein/skin related issues, visit The Secret Vein Clinic today! I had a very pleasant experience at The Secret Vein Clinic. The staff is very friendly, professional and well-trained. The office is located in the heart of La Jolla. Very clean and comfortable. After going thru a Doppler ultrasound test, I was informed that I was not a good candidate for the Clinic's service and the prepaid payment was promptly refunded. I appreciated their honesty for NOT trying to provide a service where little/no improvement could be expected for the price paid. It is refreshing to work with these outstanding medical professionals at the Secret Vein Clinic, and I highly recommend any and all to get treated here! My spider veins were so embarrassing that I feared wearing shorts or a dress for too long. Dr. Mann and staff addressed my concerns in a professional and caring manner. I was educated on what was going on with my veins, and the proper treatments I needed to get the beautiful legs I want. 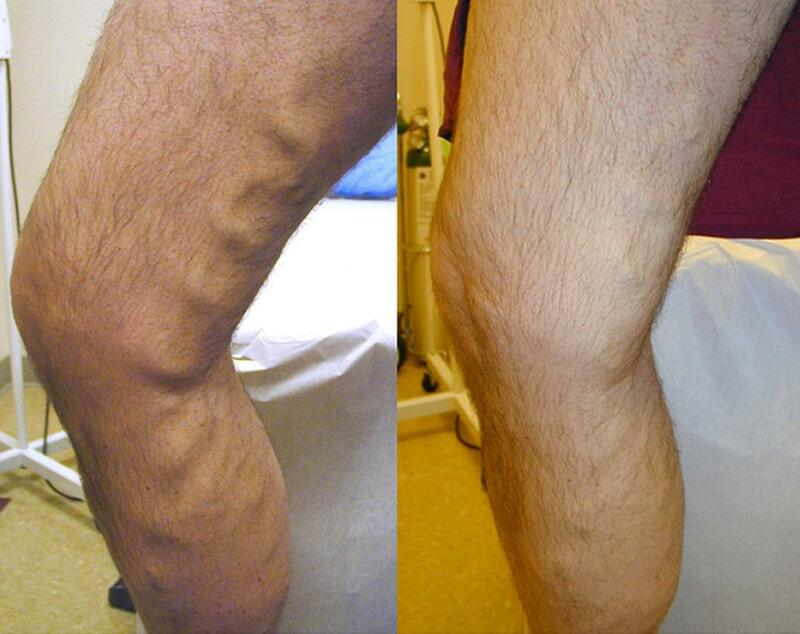 Dr. Mann not only treated my spider veins, but also the underlying cause, for long-lasting results. Dr. Mann's assistant and staff are extremely knowledgeable, helpful, caring and friendly! I am so pleased with the results I have received! I can finally show off my legs again! I highly recommend Dr. Mann to anyone who wants to get rid of those ugly veins and be able to wear shorts or dresses again! Thank you to everyone at The Secret! The Secret Staff are experts in treating vein reflux. Quality treatment from the start. My legs are so thankful.... they look & feel fabulous! I am so appreciative of my doctor. This place is top notch a true gem!just in time for summer. I'm nearly 65. I'm active, fit and dedicated to staying as healthy as possible for as long as possible. But one day I got off my bike and discovered that a vein had blown up in my leg. Dr. Mann diagnosed the problem as CVI. He and his lovely staff treated me with knowledge, care and expertise. Luckily, I won't have to go back. Went to the Secret Vein Clinic because I had severe varicose vein symptoms for years. I used to wake up with terrible pains and cramps in my legs. Dr Mann examined me and I immediately felt comfortable during my consultation with him. He listened to my concerns which very few doctors really do. The staff was very helpful with the insurance paperwork and in getting authorization for my ablation procedure. Dr Mann was truly caring and very professional and I could tell he was very adept at what he was doing. He took care of those larger ugly bulging veins. Now I have legs that I dont have to be embarrassed about. I cannot thank Dr Mann enough for his expertise and genuine care during my treatment. Highly recommend this clinic to anyone with vein disease. Saw Dr Mann in consultation for my varicose veins. He took his time listening to me, reassured me and I felt safe and comfortable with him. I ended up getting the radiofrequency ablation procedure for my terrible veins. Now I must say I have legs that are symptom free Amazing! What a fantastic job he did. The staff there is wonderful. Made everything so easy with the paperwork. They genuinely do care for patients at this clinic. Cannot say that for the other vein clinics I initially had consultations with. Definitely he is the vein doctor to go to. Does The Secret Vein Clinic accept insurance? What if I have Medi-Cal? The Secret Vein Clinic works with federal insurance programs as well as a large number of PPO and HMO insurances. Some of our patients have Medicare, Medi-Cal, Tricare, and many other large insurers like Blue Cross, Blue Shield, Aetna, Cigna, United Health Care and HealthNet. If you are unsure about your coverage, our Insurance Manager will take down your insurance information, make an inquiry into your benefits and then send you a detailed overview of the information. What types of treatments can I receive at The Secret Vein Clinic? 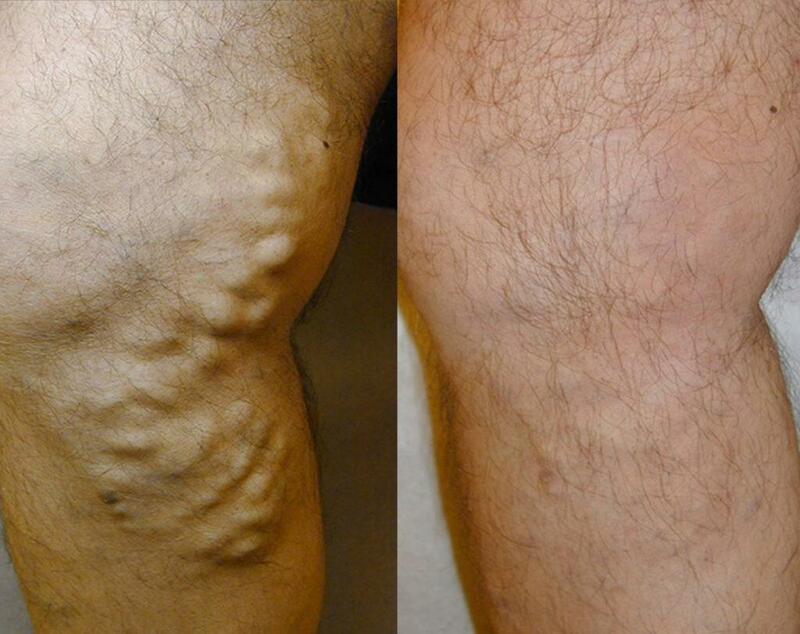 Dr. Mann specializes in the Radiofrequency Closure Procedure to treat varicose veins. 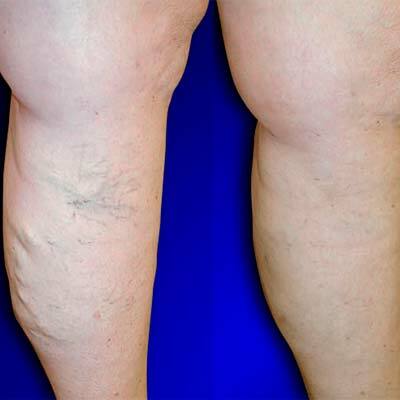 This is a revolutionary procedure that replaces the more invasive and painful “vein stripping” that varicose vein patients used to require. 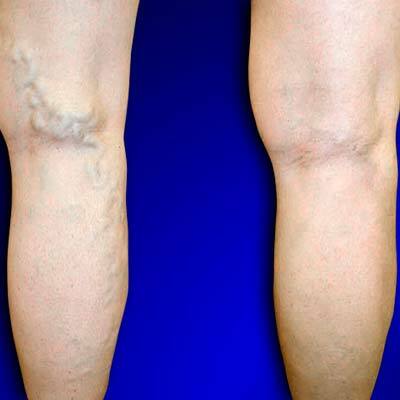 We also specialize in the medical, cosmetic, and surgical treatment of spider veins and other various vein disorders. In addition to our specialization in veins, we also offer several cosmetic skin tightening and skin resurfacing services for patients. Together, Dr. Peter Mann and his staff of highly trained Medical Estheticians offer a comprehensive list of skin care services, from treating acne and sun damage to enhancing your overall appearance. Why is The Secret Vein Clinic unique? With the background and experience that Dr. Mann brings to the clinic as both a board-certified Vascular Surgeon and Emergency Medicine physician, The Secret Vein Clinic is fully prepared to treat a myriad of medical conditions. With a state-of-the-art varicose vein treatment known as Radio Frequency Closure, patients are treated with a minimally invasive procedure that allows for effective treatment without major surgery. What are some of the symptoms that might indicate vein disorders? Some common symptoms of Venous disorders are, throbbing leg pain, leg heaviness & fatigue, itching, burning, restless leg syndrome, night cramps, edema, skin changes (stasis dermatitis), paresthesias and skin ulcers. After treatment, patients are often surprised to realize how much discomfort, they had once accepted as normal, is now gone. All of the aforementioned symptoms are sign of some vein disorders. It is important that our patients know that we can help them understand the root cause of this vein abnormality and how our physician can work to heal their veins. 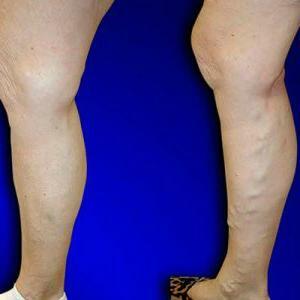 How are vein disorders diagnosed? Will I have to have imaging done at a hospital? 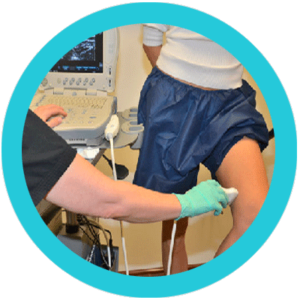 Diagnosis of vein disorders is done by ultrasound imaging. This type of testing can be done right in our clinic with one of our ultrasound machines and our certified Vascular Ultrasound Technicians. We are able to diagnose vein disorders right in our own clinic because we have our own Vascular Lab. This helps us expedite the appointment process and maintain quality control over the entire workflow leading up to the vein treatment. 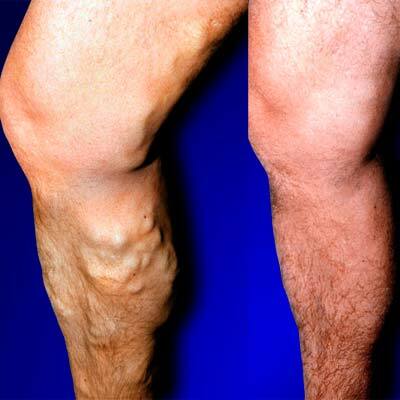 Aren’t conditions like varicose veins mostly cosmetic? Do they pose a risk to my health? 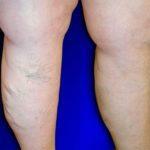 DVaricose veins are not simply a cosmetic issue. 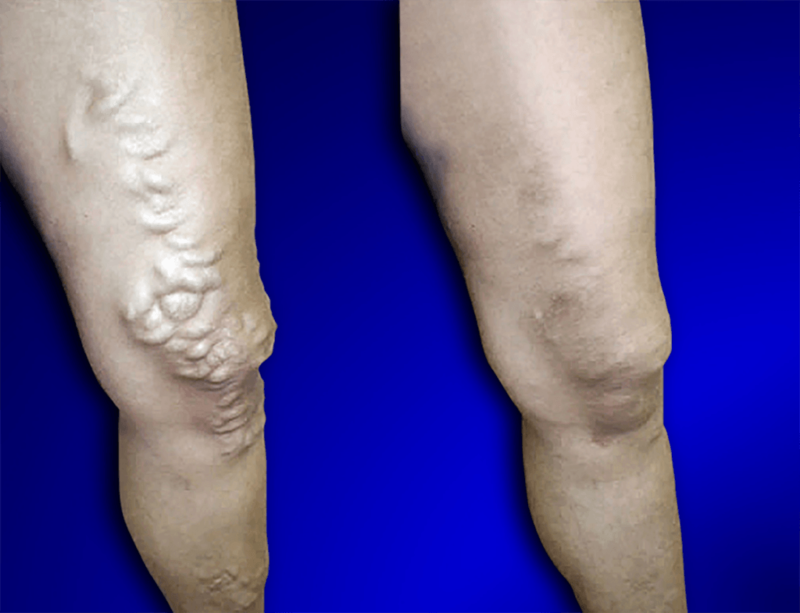 If you suffer from varicose veins, you know how painful these diseased veins can become. You may suffer from leg heaviness and fatigue, leg pain, restless legs, swollen leg limbs, skin changes, and night cramps and ulcers. These symptoms start slowly and will worsen if the varicose veins are not treated, making it very important to seek early treatment. Even if you think the veins are just unsightly, there are serious, and sometimes fatal, underlying medical factors at play.